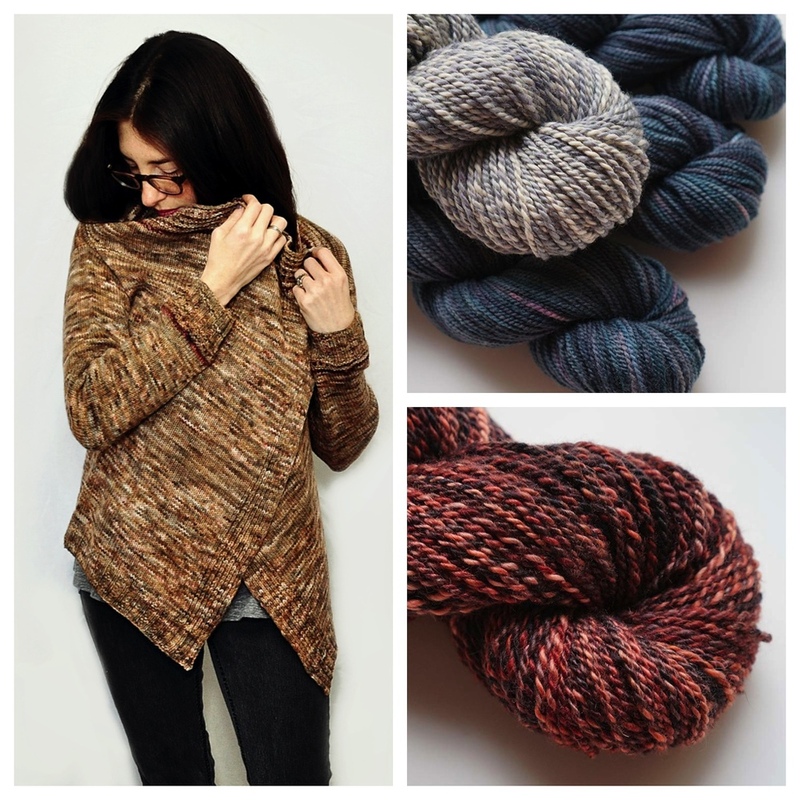 designer interview: courtney spainhower of pink brutus knits! Hello knitters! Today, I bring you an interview with Courtney Spainhower, the brilliant designer behind Pink Brutus Knits. Courtney's designs have been published in Interweave Knits, Knitscene, Creative Knitting, Holla Knits.com, Knit Picks / IDP Collections. Her most recent project is the Sherpa Jacket for Infinite Twist. Current physical location: I'm on my couch - as I usually am. Working from home means I often feel shackled to this particular piece of furniture. No complaints though! My office is pretty damn comfortable. My breakfast today was: Nearly every morning starts with coffee first, then a small bowl of granola with chia seeds and almond milk. Weekends are for bacon and sadly, today is a weekday. The best album ever is: Wow. Best album ever is an insanely difficult question to answer as it changes frequently. I go to a particular album to re-live a time in my past, so... The Beatles White Album sends me to my room as a teen, Van Morison Moondance drops me square into my oldest daughter's infancy, and Chris and Thomas Land of Sea will forever link me to my dad's ranch in Colorado. I am currently knitting/making: Almost every project on my needles is for publication now-a-days, which means a ton of "secret" knitting. I have a shawl of sorts and a sweater of sorts on the needles right now for my upcoming book, with a mere ten more samples to go before the end of September. No pressure. My secret super power is: I have tons of super powers as I think most mothers do. My strongest, most fearsome is my power of balance. I live off of my ability to meet deadlines so I have to manage relationships, time, work, and parenting in ways I sometimes can't even comprehend. Honestly, Helix was my inspiration for this design. When I received the first samples of yarn I swatched a few different colors on various size needles held single and doubled. There was this really natural, almost gauzy, crimped texture to the yarn knit held single that appealed to me. It made me think of sheep, obviously, then rocky hills and mountain goats and the beautiful Sherpas - men and women slowly scaling the vertical landscape in simple belted jackets and vests. I decided to create a simple shawl jacket that was a little slouchy, warm, and that would mimic some of the shapes and colors those rocky cliffs and lovely people brought to mind. How do you wear your Sherpa Jacket? Firstly, I wear my Sherpa Jacket almost every day and it's become my go-to for chilly mornings so to be honest, I wear it wrapped tightly around me over some really cozy pajama pants with coffee in hand. If I plan to leave the house though, I wear it open over a simple tank top or tshirt, jeans, and with weathered boots.